I’ve always been a fan of chocolate and peanut butter. Reese’s are a bit too sweet for me, but I love making peanut butter cups myself! I just take a cupcake liner and fill it partway with dark chocolate, add a layer of peanut butter, and then top it with more chocolate. I leave them in the freezer for the perfect summer snack- there ya go, two recipes in one post. Not bad, right? I was so happy with how these turned out! They’re very fudgy but not at all cakey, which made them smooth and rich without being overpowering. They’re so easy to whip up, too! These disappeared really quickly. I managed to sneak a few and now I want to make them again as soon as possible. 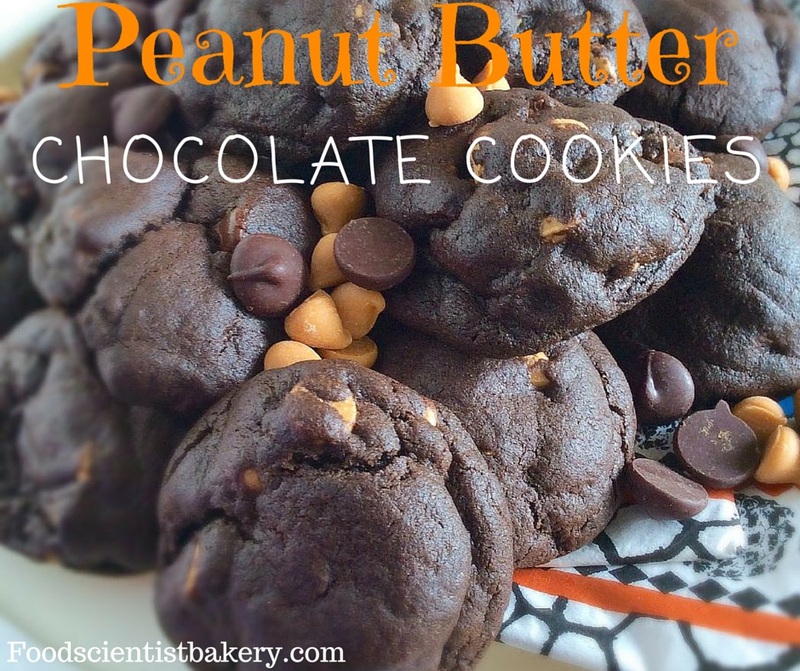 If you love chocolate and peanut butter, we can be friends. And share these cookies. Preheat oven to 350 F. Line cookie sheet with parchment paper or silpat. In the bowl of an electric mixer, beat butter and sugars for 1 minute. Add egg and vanilla and beat until creamy. Add flour, cocoa, and baking soda and beat until combined. Stir in peanut butter chips and chocolate chips. Roll dough in tablespoon-sized balls onto baking sheet. Flatten slightly. 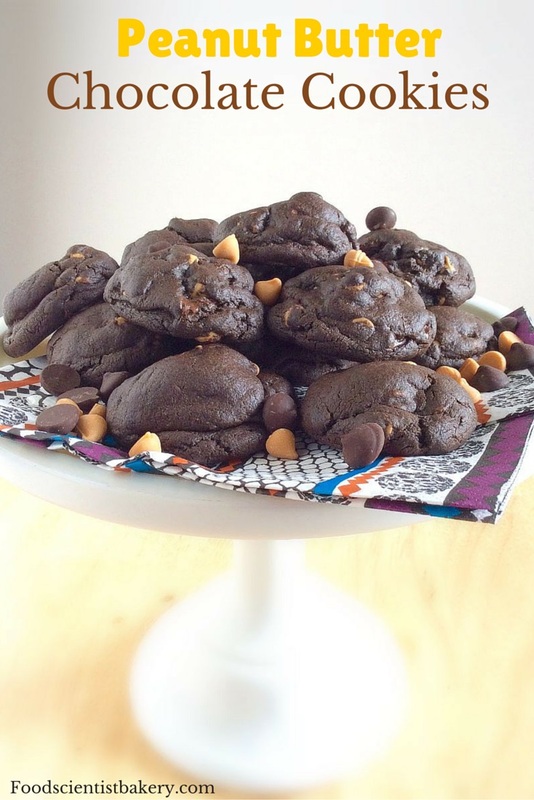 Bake 8-10 minutes or until cookies are no longer doughy and “wet” looking. Cool for 5 minutes on cookie sheet. Cool on wire rack. Store in an airtight container for up to 4 days. Thanks! I want to make them again ASAP!